As Idaho marks 20 years since the first charter schools opened in the Gem State in 1998, it is worth looking back at how the public charter movement started here. That’s the primary purpose of this report. 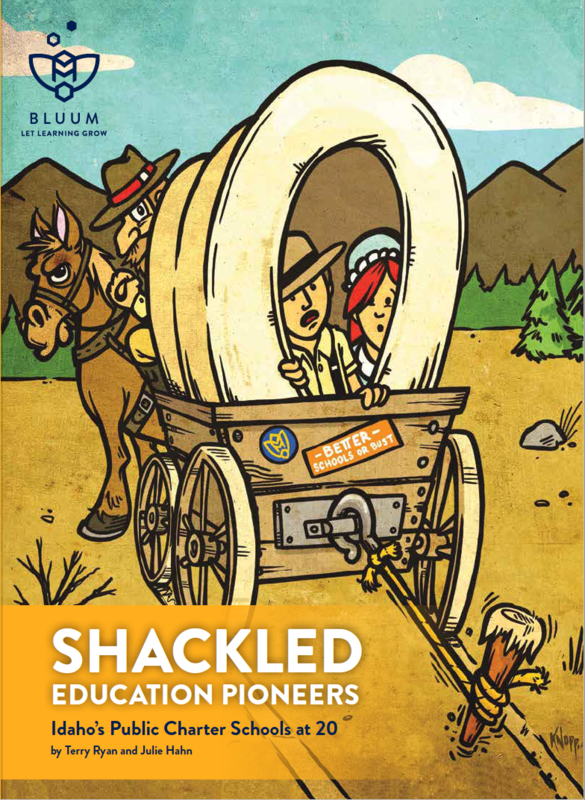 But, as one revisits the history of Idaho’s public charter school program, it is helpful to note how the effort has strayed from its original intent of allowing significant space for education innovation. When launched back in 1998 the legislative intent of the state’s charter school program was “to serve as learning laboratories with hope that successes could potentially be applied throughout the larger public education system.”1 But, like in other states, the political compromises required to pass the original charter law minimized the actual space for innovation. Worse, Idaho’s charter law has been modified almost annually and many of these changes have reduced even further the ability of public charters to really operate much differently from traditional public schools. The Office of Performance Evaluations (OPE) reported to the Idaho Legislature in March 2013 that “the charter school laws have been amended 84 times since 1998.2” Further changes to the state charter school law were applied in 2013 and in each year since. In 2017 House Bill 279 was signed into law by Governor Otter that streamlined the procedures for opening new charter schools by simplifying the process, compressing the timeline and clarifying expectations for schools and authorizers, while at the same time maintaining standards for new charter petitions. But, the bolder effort in House Bill 258 to allow “charter schools with a proven track record of high performance to hire teachers with professional expertise, who are qualified to teach at the college level, or who hold a degree in the field in which they would be teaching, regardless of certification” faced stiff opposition from traditional education groups and failed to get a hearing in the House or Senate. Fact is, and quite ironically, 20 years on, Idaho’s charter schools have become the most regulated public schools in the state. The state’s charter schools are required to follow the majority of the federal and state issued rules and regulations that apply to traditional public district schools, and like traditional district schools charters must operate within the parameters of more than 25 distinct funding silos that prescribe how schools must spend their money. But, unlike traditional district schools, charter schools must also comply with the oversight of charter school authorizers. In Idaho, public school districts and the Idaho Public Charter School Commission serve as charter authorizers. State law also allows public colleges and universities, and private nonsectarian colleges and universities, to serve as authorizers, but none have chosen to do so. Every one of Idaho’s 52 charter schools have to have an authorizer, the entity that approves the school and determines, on the basis of performance, whether to extend or end a charter’s right to operate. The 36 charter schools authorized by the state’s public charter school commission, for example, sign a performance certificate with the commission. This spells out in detail how charter schools will be held accountable for their academic, fiscal and compliance performance. That would be fair and meet the original intent of Idaho’s charter school law if things stopped there, but Idaho’s charter schools are getting very few of the operational flexibilities from state rules and regulations for this extra level of performance accountability. Idaho’s charter school law has, not surprisingly, forced the state’s charter schools to look and operate a lot like traditional district schools, but with fewer taxpayer dollars. Under Idaho law charter schools receive all state and federal dollars afforded traditional public school districts. Charters do not, however, have access to any local levy or bond dollars. The typical public charter school receives about $1,491 per pupil less than traditional district schools. After 20 years of effort, it is time to revisit the big ideas behind charter schools in Idaho. How can we return to the charter idea of accountability for performance in exchange for true operational flexibilities and the right to be different in uses of money, time, technology and non-certified staffing? Idaho’s system of education needs this engine of reform, and the state’s families and children want it. Despite the many challenges and constraints, Idaho’s charter schools have earned the right to the operational flexibilities that defined the intent of the original charter school law. school district, it would be the third largest district in the state after West Ada and Boise School districts. What could Idaho’s public charter school sector deliver in the next 20 years if they were given some of their operational flexibilities back?